With Gillywater Universal has almost done the impossible. 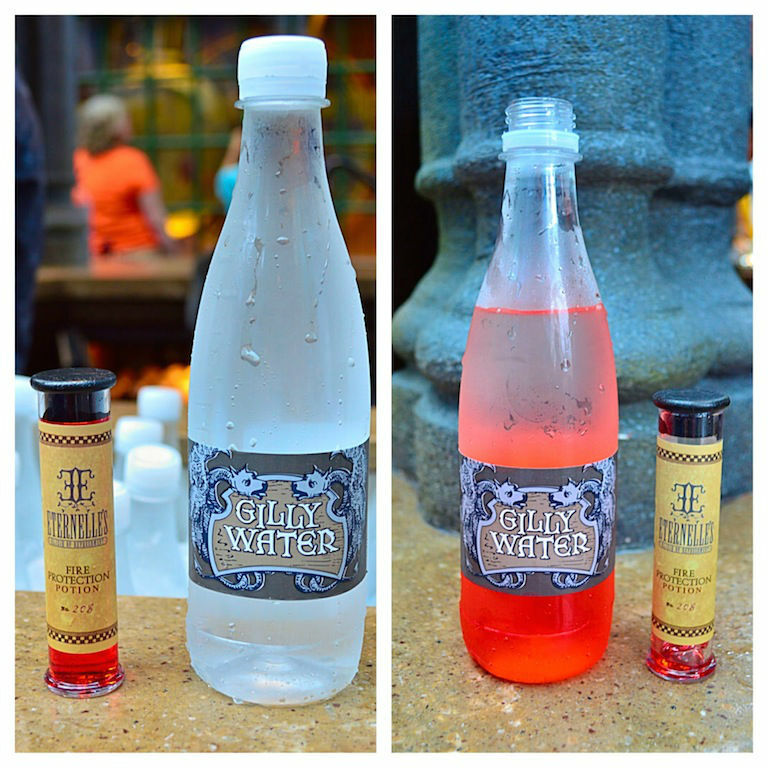 They have created a bottle of flavored water that guests will gladly line up and pay over $8 for. In a world of overpriced Fiji and Vitamin Water this pricepoint is like breaking the 4 minute mile. 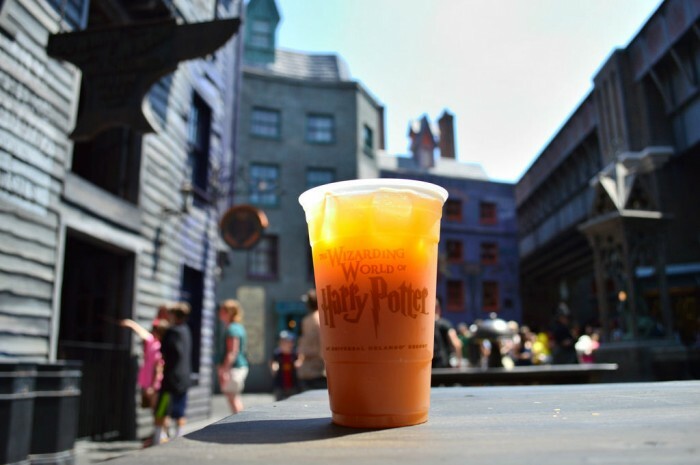 What helps is the emotional connection that guests have with Gillywater from its various mentions in the Potter books and films. 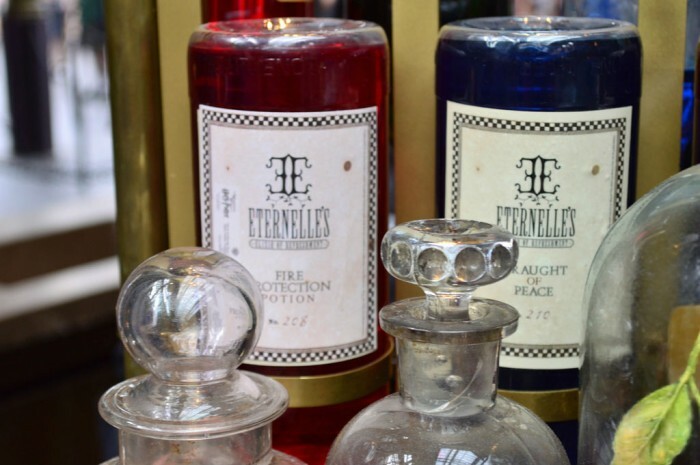 There is also the insanely great theming of the stand which sells Gillywater and the elixirs to mix in, Eternelle’s Elixir of Refreshment in Carkitt Market. In many ways Gillywater is similar to the chocolate frog that debuted with the opening of Hogsmeade in 2010. 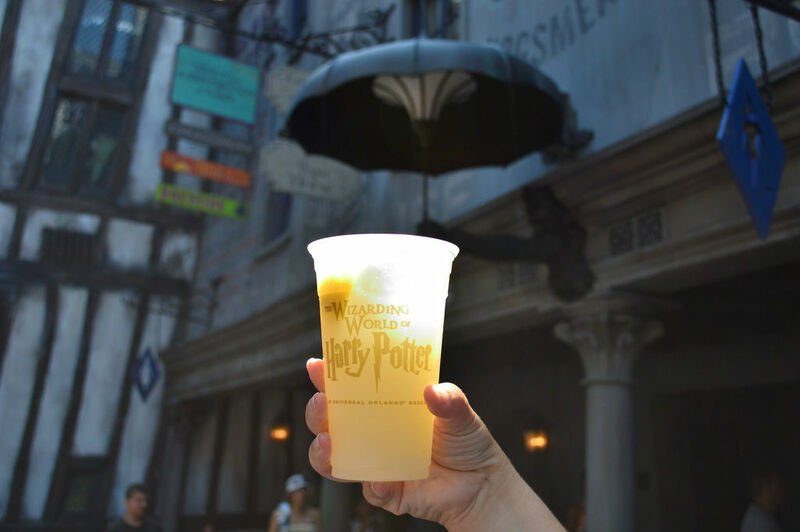 It may be a bit pricey, but Universal made the experience itself memorable and tied to a moment that fans remember from the books or movies. For Gillywater, Romilda Vane tried to get Harry Potter to drink some Gillywater mixed with a love potion in Half Blood Prince. 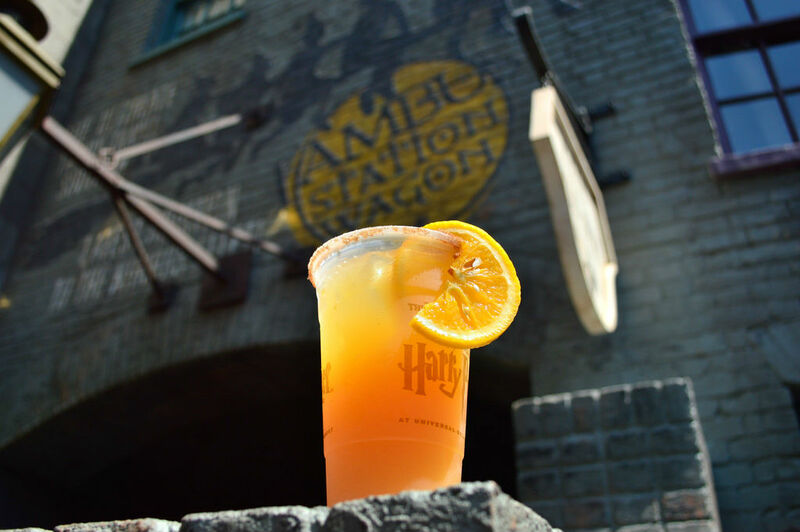 So there you have it: the Top Six New Drinks in Universal’s Diagon Alley. 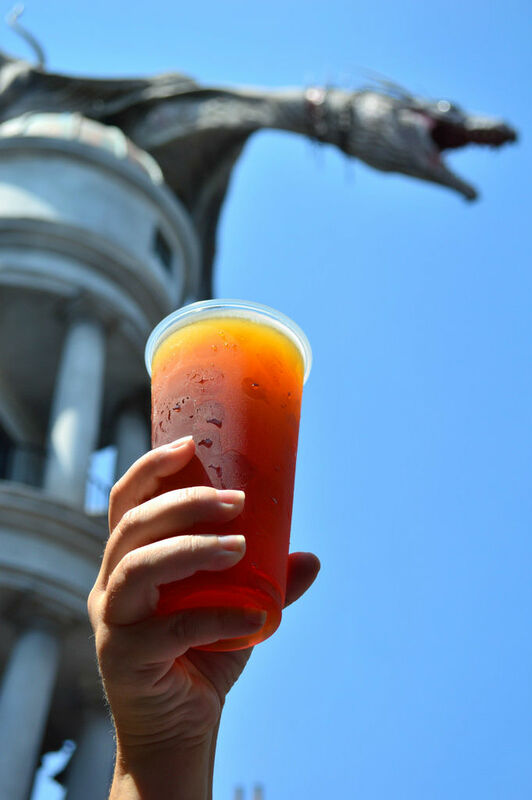 See you next weekend for the latest edition of the SATURDAY SIX, where we are going to look at our favorite foods, so get ready to read a rave review over the Banger Pub Style Sandwich from the Leaky Cauldron. If you had fun, be sure to check out The Magic, The Memories, and Merch! articles, or, for your listening pleasure, check out Pardon the Pixie Dust podcast. Special thanks to crack staff photographer Brandon Glover for his invaluable assistance in this article. I would also like to thank hand models Meg (one of the founding members of #PotterWatch, her story of which you can listen on episode 3.2 of the Parkscope podcast), @saidthelion, @mimi0987, @elevnage, Universal park icon @hatetofly, Disney super fan @Trygve and Gregory Ryan. Greg is one of the contributors to the Unofficial Universal Orlando Podcast. UUOP just celebrated their 100th episode and I would like to congratulate them on being one of the best Universal-centered audio in the world. 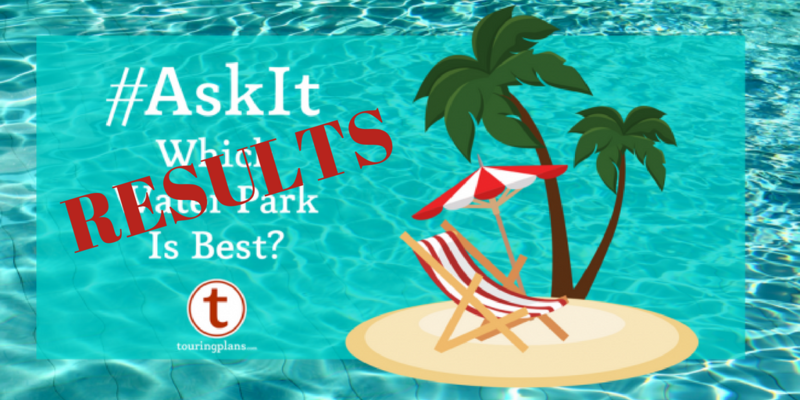 May 16, 2018 Julia Mascardo Comments Off on #Ask It Results: Which Water Park is Best? 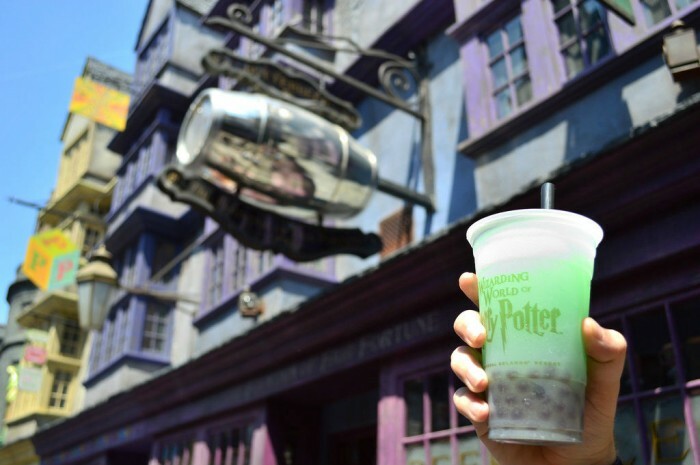 Great article, really excited to see Universal’s take on Bubble Tea with the Fishy Green Ale. It seems like a drink made just for me. But I have to correct you on one point. Neville Longbottom (in the book Dobby) does not give Harry Gillywater to breath underwater, he gives him Gillyweed. Thanks Matt. I was confusing the movies with the books late last night. I will rewrite that section with the proper citing with the love potion. How much is the Gillywater alone? 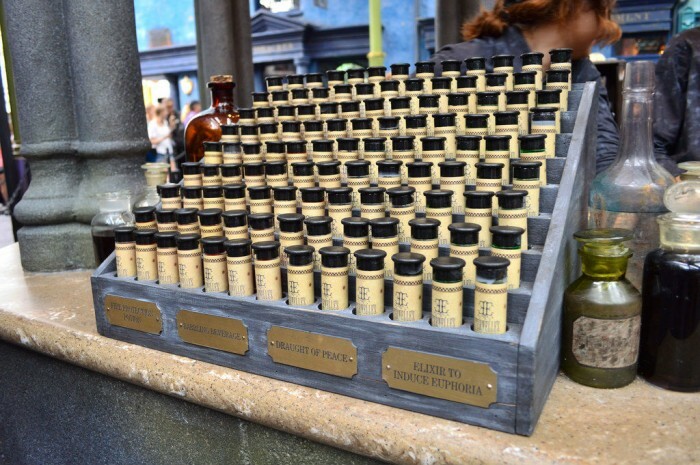 How much is the elixir flavoring alone? How much is the Gillywater and elixir flavoring if bought together? Gillywater is $4.00. Elixirs are $4.25 each. 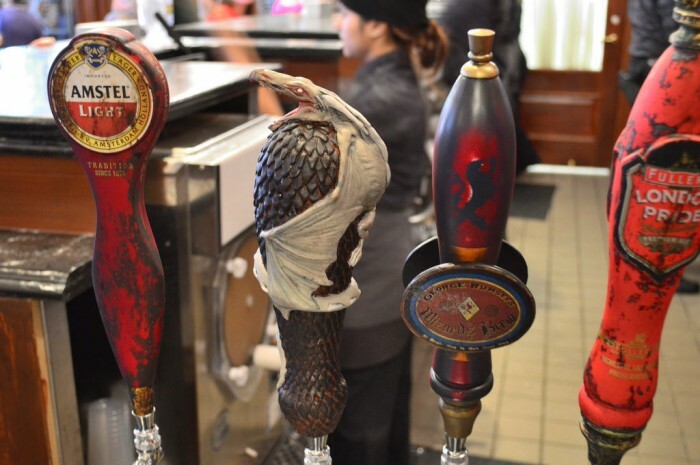 That Dragonscale looks like a better beer than the regular Duffs. 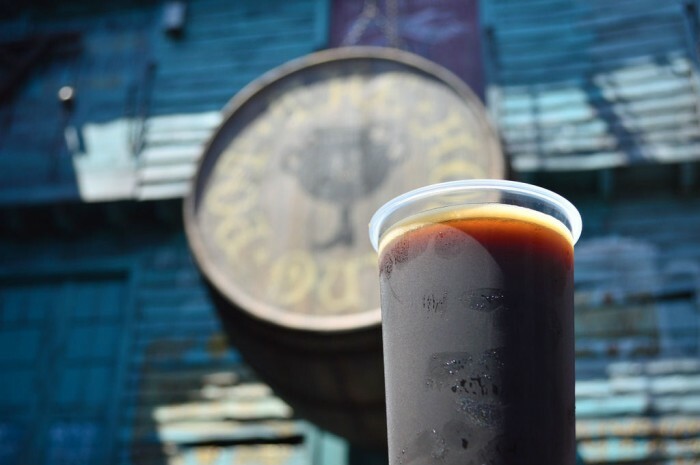 And if it is akin to Killian’s, it would definitely be a better beer than the regular Duffs. I liked the Duff Dry quite a bit. I had to ask for it specifically at Moe’s. When my husband went up to the bar and asked about the beers, they didn’t tell him about the Duff Dry at all. 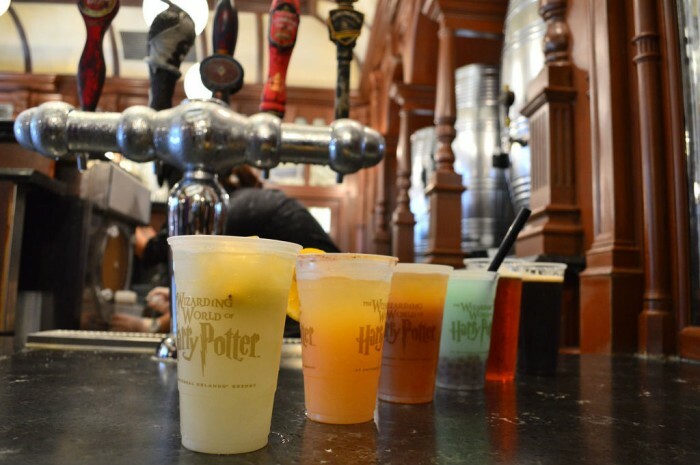 I didn’t know that Hogsmeade had a beer of their own, so we missed that. I love porters and stouts, so I look forward to trying all the beers in the HP parts the next time we get down there. I was there last week and I tried the fishy green ale after a 4h45min wait for the ride and it was truly a new experience for my taste buds! I fell in love with it from the first sip and ended up drinking 2 in half an hour! It’s amazing!! !